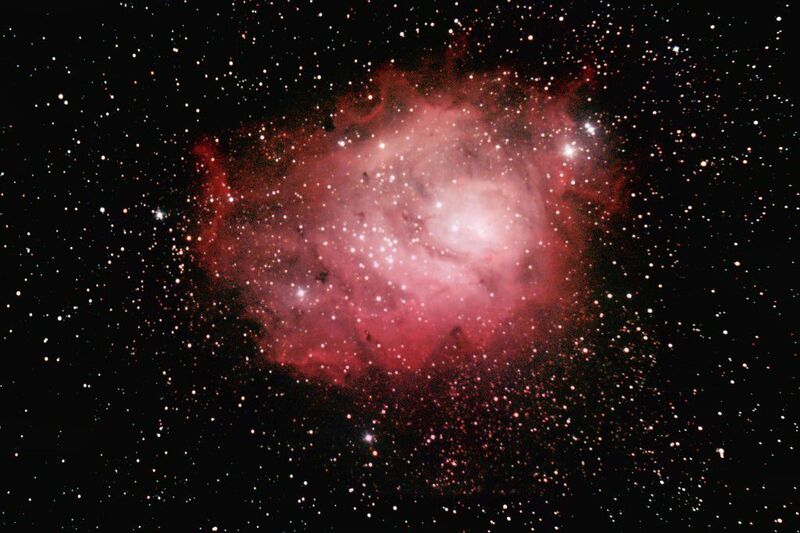 The constellation of Sagittarius is rich in beautiful nebulae, one of which is Messier 8. It is associated with NGC 6530, a young open cluster which was discovered in 1680 by Flamsteed, while the nebula itself, which is much dimmer, was seen for the first time in 1747 by Le Gentil. The nebula is above all known for its characteristic dark clouds, "globules" that are collapsing to give birth to new stars. Photographed by "Chamois" (the person's pseudonym on the Futura-Sciences astro forum) using a 110 minute exposure on a digital reflex camera fitted behind a 200 mm diameter telescope.